Stress can attack any part of your body. Many people who complain of chronic back pain often admit that they are under a great deal of stress. Yoga is very likely the best stress buster that you can use. While doing yoga and using proper breathing techniques, you slow down your breathing. Your lungs open and bring in large quantities of fresh air. As you breathe out, toxins and stress are released. Think for a moment how you breathe while you are very angry. Do you breathe slowly and deeply filling your lungs or is it rushed and shallow breathing? The quicker you breathe, the faster your heart beats. As stress mounts, unhealthy chemicals are released into your body and you are more prone to heart attacks, strokes and other harmful diseases. 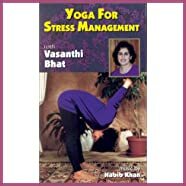 In here I will feature some simple yoga breathing exercises that you can practice to help manage stress in your body better. Yoga Breathing Tips To Calm Down. One of the most important aspects of yoga, is the ability to calm yourself down. In this tension filled world, we tend to get stressed out. The most simple method to use is one nostril breathing. 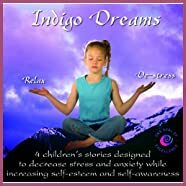 In a quiet comfortable place, sit in a relaxing pose or simply in a comfortable chair. Take your right index finger and close off your right nostril. Breathe deeply and evenly through the left nostril. Repeat on the other side. Your nervous system will quickly begin to calm down. You should also notice any negative thoughts will begin to dissipate and you will see your issue in a new positive way. Our next method is breath retention. You will be holding your breath for specific counts. Begin by inhaling and hold at the end of the inhale for a count of one. Now exhale. Next inhale; hold the breathe at the end for a count of two. Exhale. Repeat this strategic breathing by increasing the holds all the way up to a count of five. To finish off the exercise, do the breathing in reverse. Inhale in and hold for a five count, then exhale. Repeat all the way down to a count of one. This technique requires not only breathing but intent focus, which helps to redirect your mind from problems. With Ujayi breathing you will need to narrow your throat slightly by tightening the muscles. Inhale through your constricted throat and you should notice the air flow has a slight resistance. Exhale deeply in the same way. You will notice the sound. Focus on it and ask what peaceful sound it reminds you of? Is it the rhythmic sounds of ocean waves going in and out? By doing this breathing you will notice how all stress and cares melt away and you can move on with a peaceful day. 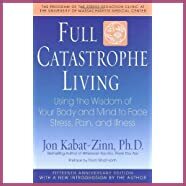 It is important that you do some more research to learn how to manage stress better in your life as a holistic self help strategy, that you can also incorporate these yoga teachings with. 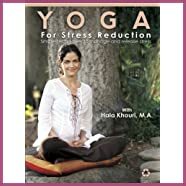 Below are some popular training guides to show you the safe and comfortable ways to learn stress management yoga postures and breathing techniques. Please stop to say hello and tell us what you think! Like this information? Want to share your feedback, or just give a thumbs up? Click the link below to submit your comment - thanks!